In this marketing example I use the new Starkist Tuna Packaging as the example. I want to start by saying tuna has never been my most favorite thing to eat however, a couple of times a month, I get a craving for a tuna melt or a homemade tuna casserole and I use Starkist tuna for the recipes. I use Starkist Tuna because I have tried others and frankly, Starkist is by far the best. I really started enjoying tuna when Starkist started putting the tuna in vacuum-sealed bags instead of the cans. I never liked getting fish from a can. I have had cats for years and when tuna comes in a can smelling the way it does, all I can think of is “I’m about to eat cat food” and my stomach goes queasy and I no longer want the tuna melt or casserole. The vacuum-sealed bags of tuna however, have never made me feel that way. The tuna is convenient and is packaged in a way that cat food does not normally come in. Now however, Starkist is offering a “Gourmet Select” choice, a superior product to the chunk tuna sold in the vacuum-sealed bags at a higher price point, in a can disguised in a box. Now, it really reminds me of cat food, not a product superior to the vacuum-sealed bags. Obviously, you want a product supposedly better than your current product to look more appealing, not less appealing or less quality. The reason the new packaging looks less appealing is a couple of things. Starkist going back to the can for packaging. The can may be inside a box but its still a can. The font used on the box looks like the fonts used on cat food cans. 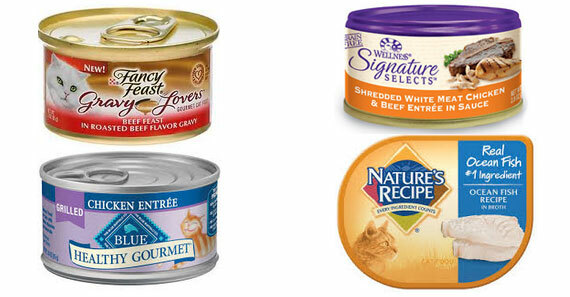 The text “gourmet” and “select” are on almost every cat food can. Which means Starkist should use different verbiage to stay as far away from the cat food resemblance as possible. Here is some cat food with similar fonts, packaging, and verbiage. Packaging can make or break products. Before deciding on the packaging for your product, do a quick search on Google to see what packaging is being used for products similar to yours or that are associated with your product and think about your target market, who they are, their demographics, and what they have purchased from you in the past. Now all this talk of tuna has made we want a scrumptious tuna casserole. 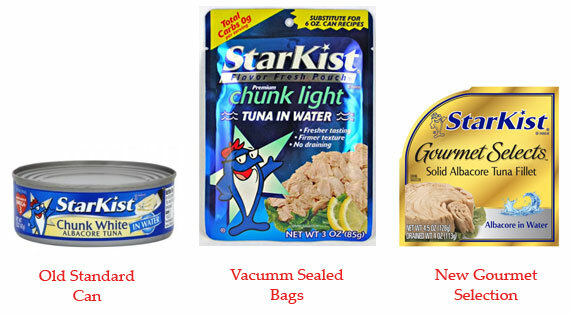 I’ll use my Starkist tuna vacuum-sealed in the fabulous bags and have myself a great dinner.